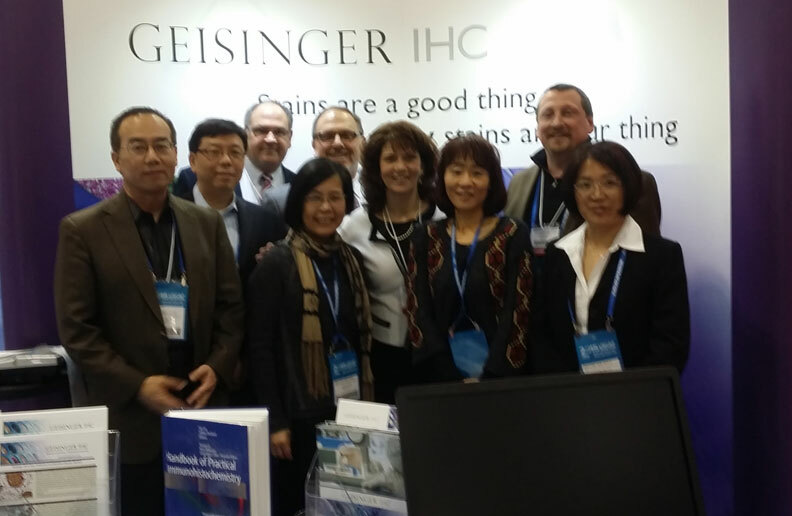 What's New at Geisinger IHC? You are here: Geisinger Medical Laboratories > What We Offer > Anatomic Pathology Services > Immunohistochemistry > What's New at Geisinger IHC? 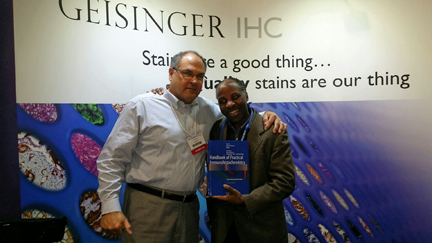 A group from Geisinger IHC recently attended the March 2015 United States and Canadian Academy of Pathology (USCAP) meeting in Boston, where they introduced the second edition of their book, Handbook of Practical Immunhistochemistry - Frequently Asked Questions, which was published by Springer in March 2015. Front row from left: Fan Lin, MD, PhD; Zongming Eric Chen, MD, PhD; Haiyan Liu, MD; Sandy Mullay, Operations Director; Hong Yin, MD; Jianhui Shi, MD. Back row: Rich Ede, Sales Representative; Dave Gingrich, Associate Vice President; Jeffrey Prichard, DO. 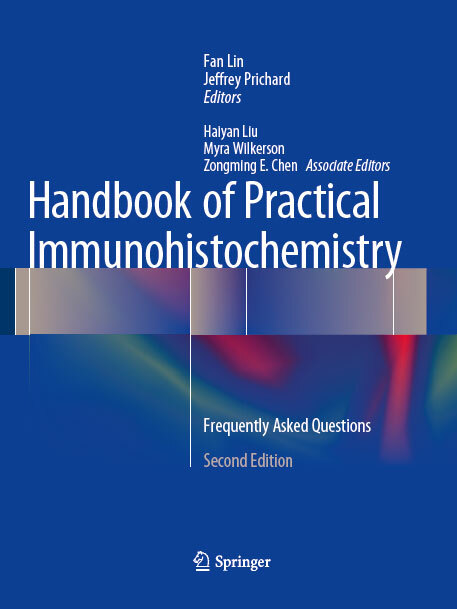 Participants in a Case Study contest were eligible to win a copy of the Handbook of Practical Immunhistochemistry - Frequently Asked Questions. Shown with Rich Ede, Sales Representative (left), is Dr. Evariste Gafumbegete of Meppen, Germany, one of five winners who supplied the correct response. Dr. 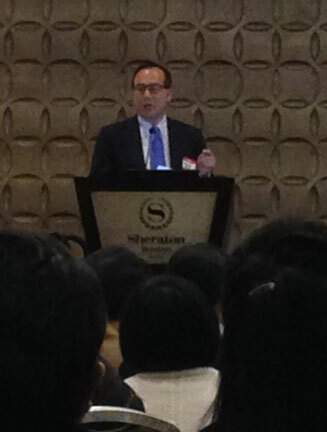 Fan Lin, Director of Anatomic Pathology at Geisinger Medical Laboratories and President of the Chinese American Pathology Association (CAPA), delivers the welcoming address at the group's annual meeting which was held along with the USCAP meeting in Boston on March 21, 2015. Dr. Lin outlined the Association's goals for the coming year, including the First CAPA Pathology Symposium, Best Practices in Diagnostic Immunohistochemistry for Both Surgical Pathology and Cytopathology, to be held in August 2015 at the Sheraton LaGuardia East Hotel, Flushing, New York.